Since 2011 H2O Visions has been providing private tours on Bonaire. 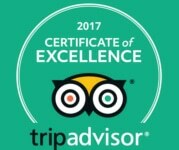 We are now proud to be recognized as one of the top rated private excursions providers on the island. All marine excursion guides are certified scuba and snorkel professionals. Fully trained with years of local experience and very knowledgeable about local species, fish identification, marine behaviors as well as topside flora & fauna. Shore based snorkel sites are chosen based on the customers snorkel experience, comfort level along with current weather conditions. You can be assured that your excursion will be safe and worry free. During your tour briefing you are consulted as to which species you are most interested in, then your excursion is planned accordingly. All land-based excursion guides are certified and registered by the Tourism Corporation of Bonaire as official island guides. Being local residents of Bonaire, we can educate you about all facets of our history and culture. Land based tours are fully customized to your interests. We can accommodate physically challenged individuals for all types of tours. Please inquire about possibilities. You can now explore all that Bonaire has to offer - both in and out of the water. "It’s your day…let’s plan it your way".